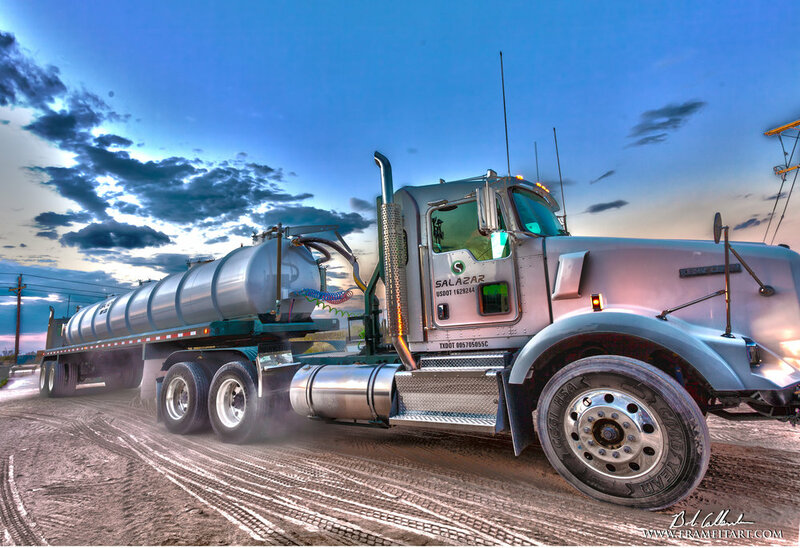 Located in West Texas, Salazar Service is a provider of quality oil and gas transportation services. In 1996 two brothers in Andrews Texas with a small business loan, a salvaged tri-plex pressure pump, and a 79’ International truck began working by themselves in the oil field. Jose “Lupe” Guadalupe and Porfirio “Pilo” Salazar started out with a small pump truck doing load and tests on well, washing out tanks, pumping chemicals or just about any odd job they could find in the oil field while they worked out of their homes and managed repairs and office work on their own. They named the company “Salazar Services”, and while it grew slowly those first few years, they went forward with a simple business philosophy, work hard, work well, and always reinvest back into the business, and so with every new truck put into service they kept their focus on building trust with customers and doing every job right. Our name has changed since the passing of Jose Guadalupe Salazar to cancer in 2006, and we now operate as Salazar Service and Trucking, Corp. or sometimes simply referred to as “Salazar”. Including our original yard in Andrews, we have expanded to five locations. As we grow with our customers, we hope to keep making history and progressing with them in every aspect of their future endeavors. 24 Hour service. Please see contact list for your closest representative. As their name suggests, these units kill pressure and gas from your well location. All of them are split compartment which helps you keep more than one type of liquid or water on location, and they all round out to at least 3,000 p.s.i. with 3 to 4 barrels per minute of volume capacity. They can be equipped with a chart recorder for line or well test, flow-meter typically included. Similar in nature to the kill truck, but made smaller for less pressure or volume-demanding work. Great cost saver on your typical load + tests, H-5's or H-15's, but also split compartment hull, making it ideal for chemical pumping, and very maneuverable in tight locations with many obstacles. This unit tops out at 1,000 p.s.i. with a 1-2 barrel per minute of volume capacity. Flow-meter included. Similar to a kill or pump truck but it heats oil or water to high temperatures at high volumes. 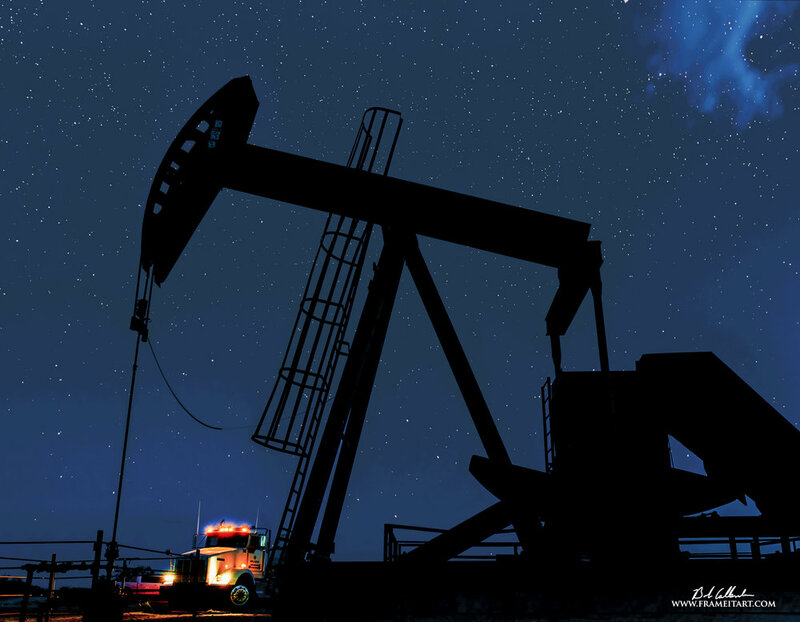 Over time paraffin, scale, salt, iron-sulfide, and other compounds created by oil and gas extraction begin to plug and hamper the performance of wells, pumps, tanks, and flow-lines, by pumping hot water and oil we can help get your equipment back online. Top P.S.I. is 3,000, and the unit offers a maximum of 3 barrels per minute of volume capacity, temperature is variable depending on fluid used, environment, and client specifications. Flow-meter included.